The global excipients market should reach nearly $6.9 billion by 2020 from approximately $6.3 billion in 2015, according to a new report from BCC Research, LLC. Growth in the demand for pharmaceuticals and biopharmaceuticals should drive market growth in the excipients market as will the development of innovative drugs for chronic diseases and an increase in generic drug production. Increased research and development spending, growing competition, looming patent expiries, new technologies, and upcoming product launches are key market drivers, as well. While there is a need for new excipients to increase options for the formulation and delivery of the newer molecules coming through the development pipelines, few new excipients have reached the market due to high development costs and stringent regulatory requirements, according to the report. Thus, developing new excipients requires expensive and time-consuming safety evaluations. As a result, some manufacturers are concentrating on co-processing existing approved excipients. Innovative co-processed excipients, or excipient composites, are being engineered to achieve the properties of key components of the tableting blend in a single, highly flowable and compressible granular material. “With the increasing development of new chemical entities, there is a huge opportunity for the development of co-processed excipients, and development of such innovative co-processed excipients with multi-functionality is beneficial for the market,” says BCC Research Analyst Shalini S. Dewan. In this exclusive Drug Development & Delivery report, we uncover how leading excipient manufacturers are overcoming their own R&D challenges to deliver innovative excipients that address problems associated with both large and small molecules. The majority of new chemical entities (NCEs) being considered as active pharmaceutical ingredients (APIs) are poorly water soluble. 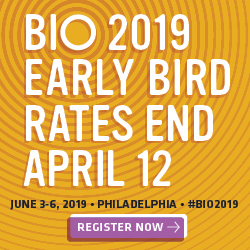 Lipid Based Drug Delivery (LBDD) employing functional lipids is one of the most effective means to overcome solubility challenges for BCS Class II and Class IV APIs, says John K. Tillotson, RPh, PhD, Pharmaceutical Technical Business Director (Americas), ABITEC. Functional lipids offer many advantages including: complete dissolution of the API in the lipid; dispersion of the dissolved API in the GI tract in the form of API-containing micelles; resistance to API precipitation; protection from enzymatic degradation; and adaptive chemistry allowing for the selective synthesis and application of lipid systems specific to respective API characteristics. LBDDs are formulated by dissolving the API in a neat lipid or in a combination of lipids and surfactants to formulate a pre-concentrate. When the API is dissolved in a neat lipid, the API-containing lipid is digested by bile salts and digestive enzymes to form an API-containing emulsion, which is then absorbed. When the API is dissolved in a combination of lipids and surfactants, the pre-concentrate generates an emulsion upon contact with the fluid in the GI tract. The API-containing emulsion is subsequently absorbed. “A recent ABITEC innovation, the INJECTA™ line, brings the dissolving power of ABITEC’s highly functional lipids to injectable applications,” says Dr. Tillotson. The INJECTA line includes Captex® triglycerides and Capmul® mono- and di-glycerides manufactured specifically for injectable formulations. The INJECTA products can be employed in a range of applications, including injectable, transdermal, and ophthalmic formulations. INJECTA products are monograph compliant and are tested for endotoxins, heavy metals, and microbes. In addition to challenging NCEs, there are challenges associated with developing co-processed excipients in that there are few blends that fulfill the formulating requirements of a large number of drug molecules. “Although co-processing can be a viable route to a functional excipient that provides superior flow and direct compression tableting, with best-in-class controlled release, generally, the range of large-volume co-processed excipients will be limited,” says Dr. Durig. “One success is Ashland’s new series of BenecelTM hypromellose (HPMC) grades for controlled-release matrix tablets.” Ashland will present the results of new highly functional developmental grades of hypromellose acetate succinate (HPMCAS) at the 2016 Controlled Release Society. Following additional studies and peer review, these excipients are expected to be available as commercial products. Ashland is also investing in ways to comply with the directives of Quality by Design (QbD) and reduce risk to the supply chain. Ashland has product safety and quality management systems to meet a range of regulatory requirements for all excipients. In February 2016, Ashland’s manufacturing plant in Calvert City, KY, received EXCiPACT certification for Good Manufacturing Practices (GMP). Colorcon supplies pharmaceutical excipients and coatings. 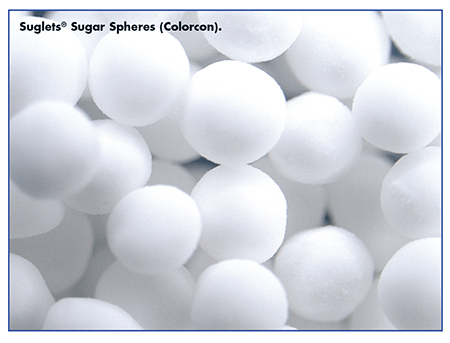 Its particular expertise in coatings led the company to explore how sugar spheres, as an inert carrier for drug loading, can impact drug release. Variability in size directly affects the thickness of the applied coating, and, therefore, the diffusion and dissolution performance. Friability of the substrate can impact size and smoothness of the bead, affecting coating thickness and dissolution performance. “While monographs specify targets for various properties, we have seen that often these tests have no influence on the performance of the final product,” says Mr. Gilbert. 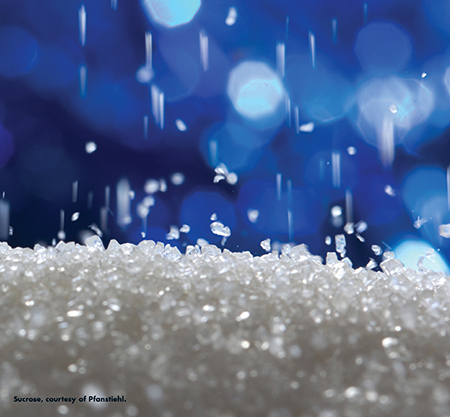 For example, the current USP monograph for sugar spheres includes particle size distribution by sieve analysis, which does not account for any differences in particle shape or sphericity. However, these factors can greatly influence the efficacy of a drug layering or modified-release coating. Historical trending analysis of these critical properties is available and reviewed by Colorcon operators and quality assurance teams, and this data is made available to customers. Colorcon has two Suglets manufacturing locations in Stoughton, WI, and Bazainville, France. Mr. Gilbert says Colorcon is the only pharmaceutically focused sugar sphere manufacturer with the ability to produce the same product out of multiple sites. For bioavailability and solubility enhancement of poorly soluble actives in oral formulations, rather than developing exotic new unapproved polymers giving rise to regulatory issues, Evonik has developed a versatile tool called MemFis™ (Melt Extrusion Modeling and Formulation Information System) to identify appropriate combinations of existing and approved pharmaceutical-grade polymers with the API of interest to form stable solid solutions, explains Dr. Firouz Asgarzadeh, Director Technical Services, Pharma Polymers and Services, Health Care, Evonik. 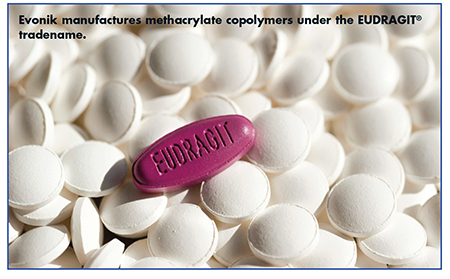 Evonik has used MemFis for screening polymers suitable for solubility enhancement of poorly soluble actives. With this tool, all approved IIG-listed polymers are considered for the development of solubility-enhanced APIs utilizing spray-dried dispersion (SDD) and hot-melt extrusion (HME) techniques. One pharma client had developed an HME product with a contract research organization (CRO) where the development was carried out by the arbitrary selection of polymers rather than taking into account functional and structural considerations. This client heard about MemFis and decided to try the tool. MemFis identified a previously overlooked polymer as the most compatible for the API under development. The actual dissolution results confirmed that the selected polymer provided the best solubility enhancement allowing for a successful formulation change for animal studies. This year, Evonik will launch a 100% solids version of an existing aqueous anionic polymer that has proven to be highly suitable for HME and SDD approaches. Evonik has already launched several combinations of excipients in partnership with other experts in the field, including, but not limited to, Acryl-EZE® (a Colorcon product), which is a ready-to-use enteric excipient based on EUDRAGIT® L100-55, EUDRAGIT® EPO ReadyMix for taste-masking/moisture protection, and PlasACRL® (a product of Emerson Resources), which is a ready-to-use emulsified plasticizing system for enteric and sustained-release coating systems. Excipient manufacturers, like Fuji Health Science, Inc., are focused on developing problem-solving excipients to overcome the new challenges that arise from new investigational drugs and novel drug delivery systems. As another example, a customer was looking for an alternate dosage form for a lipid-based delivery system. Initial trials with a liquid-filled softgel had failures in stability due to an incompatibility between the drug and capsule shell. 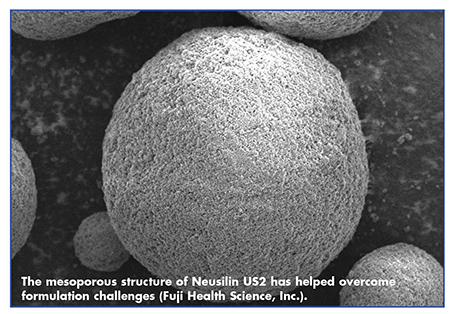 “Various carriers were evaluated to solidize the lipid and Fuji’s excipient Neusilin® (mesoporous Magnesium Aluminometasilicate) was determined to offer the best performance in terms of drug loading, dissolution, and tablet hardness without the need for additional binders,” says Dr. Han. Addressing drug delivery challenges with innovative excipients has been a core specialty of Gattefossé. Its products are widely applied in oral, topical, transdermal, injectable, and mucosal delivery, and include solubility/bioavailability enhancers, sustained-release matrix formers, and skin penetration/permeation enhancers. Gattefossé supports each excipient with clinical safety data, regulatory files, physicochemical characterization, and analytical methods. The excipient applications are equally supported with guidance documents for formulation design, decision trees, and current evaluation methods. In addition, Gattefossé offers preclinical guidelines for the preparation and dosing of lipid-based formulations, explains Jasmine Musakhanian, Scientific and Marketing Director, Pharmaceutical Division, Gattefossé USA. Among Gattefossé excipients, the newly launched Gelucire® 48/16 keeps the drug in a solubilized state by forming micellar solutions upon contact with aqueous media. This micellar capacity is easily maintained throughout dilutions and digestive processes that convert its diesters to monoesters, replenishing the micellar system that holds the drug in solution until it reaches the enterocytes. An additional and important characteristic of Gelucire 48/16 is its solid state behavior, which makes its handling very easy and facilitates formulation of solid dosage forms. Gelucire 48/16 not only exhibits solubilization capacity in vitro and in vivo, but also has processing advantages for preparing solid dosage forms. 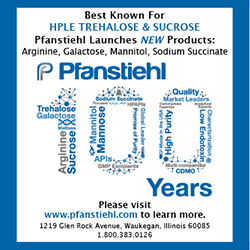 Pfanstiehl’s focus is on high quality cGMP manufacturing of injectable/parenteral-grade excipients like trehalose, sucrose, mannitol, and maltose for use in stabilizing formulations for monoclonal antibodies, antibody drug conjugates (ADCs), vaccines, small molecules, and cell-based therapies. “As the demand for increasingly complex therapeutics, such as mAbs and ADCs, continues to grow, so does the need for high purity, low endotoxin excipients that effectively improve the yield and stability of these high value actives,” says Chris Wilcox, PhD, Vice President, Business Development, Technology Specialist, Pfanstiehl, Inc.
One key area of focus for Pfanstiehl is on redefining its understanding of the minor constituents of its excipients and the impact they have on customers’ formulations. These include key quality attributes such as endotoxin, total impurities, elemental impurities, and sub-visible particulates. SPI Pharma provides functional excipients and active ingredients to solve formulation problems, achieve differentiation, and gain speed to market. Its primary focus is functionality, such as superior compactability, increased solubility, and improved stability. This has been achieved through co-processing select sets of excipients to derive functional synergy. An example is its patented Pharmaburst® ODT platform, which is a co-processed excipient system to gain specific functionality. A major advantage of co-processed excipients, he says, is that products with greater functionality can be obtained without developing a new chemical compound. Approval of a new chemical compound would require a lengthy regulatory approval process for safety and toxicity issues. Another advantage is convenience and efficiency. Fewer ingredients are needed for formulation and manufacturing, so fewer raw materials need to be tested, handled, and inventoried. 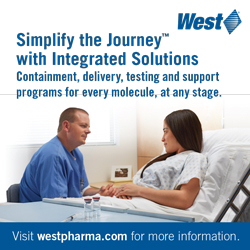 “The entire process can be streamlined, resulting in lower costs. And, because fewer materials are used, there is less variability, simplifying quality by design,” he says. SPI Pharma has developed several co-processed excipients with optimized functionality for orally disintegrating tablets and granules as well as soft chew tablets. These products are fully formulated to provide rapid disintegration and superior organoleptic characteristics while producing dosage forms that are robust enough to stand up to handling and packaging, he says. “With the introduction of the Pharmaburst ODT platform as the first off-the-shelf, directly compressible ODT platform, SPI Pharma has helped global customers launch about 45 new ODT products with both Rx and OTC APIs, some of them achieving Para IV status in the US market,” says Mr. Chandar.